Green is for pear, this week. 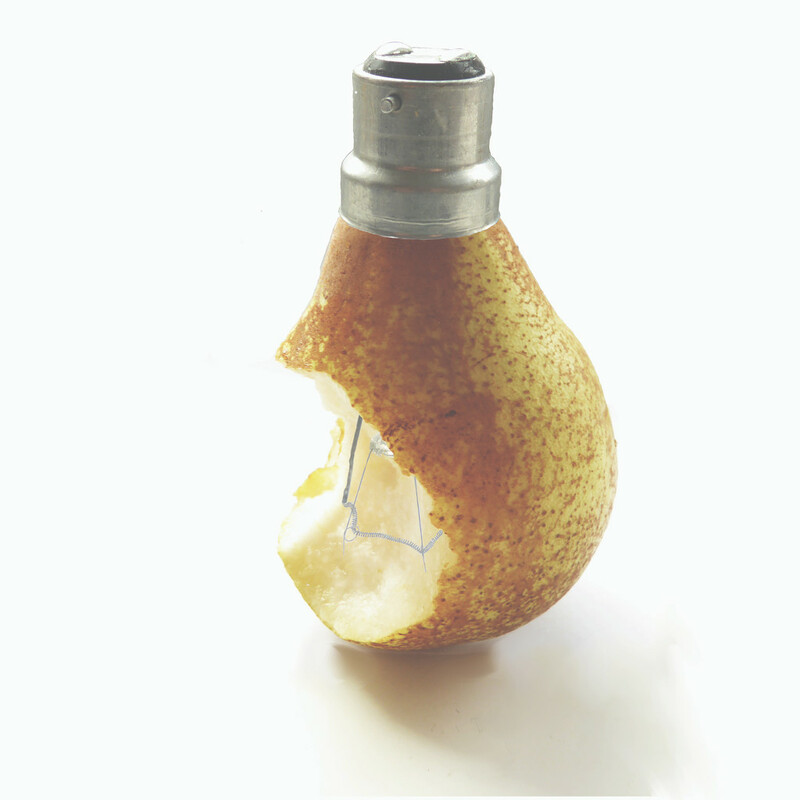 This pear light bulb is a composite of three pictures - two different light bulbs, one for the element and another for the bayonet fitting and a pear, which I did eat a chunk out of before taking the picture, then finished afterwards. It's a copy of something I found when looking for ideas for fruit pictures, but you can check the EXIF and see I took the shots today. This is a green piece of fruit to join my other takes on fruit this week as part of the Rainbow Challenge. Thank you for looking and for all the faves putting the unzipped banana on the PP. I prefer to view your pictures rather than thanking you individually below. Super inventive. You must have had to work fast, before the pear edges yellowed. Such a clever, creative image - so cool! No idea how you did this, but it is rather brilliantly clever! Shanne, this is beautifully done - I know the idea is not new but I can't see how it could have been done any better... easiest Fav this year. I'm loving your week of fruit. Excellent edit! You are very talented in doing these fruity combos! That is an awesome composite. Just so out of the box creative! LOVE IT!!!! @lesip It really is a green pear, I'm not sure why you're seeing it as so yellow - it's green on my phone and tablet which have a good colour resolution, but yellow on this laptop, which isn't great. Very clever, you are very inventive. Great job with the composite. Congratulations on this imaginative image making it to the Top Twenty for the week! Very deserving! Awesome Shane. You are on the TT !!! I love the creativity of this. @shannejw I love to create composites so I can see how well you have created the masks and the shadow beneath. Definitely a TT. mad skills you've got, shanne. congrats on TT! aces!